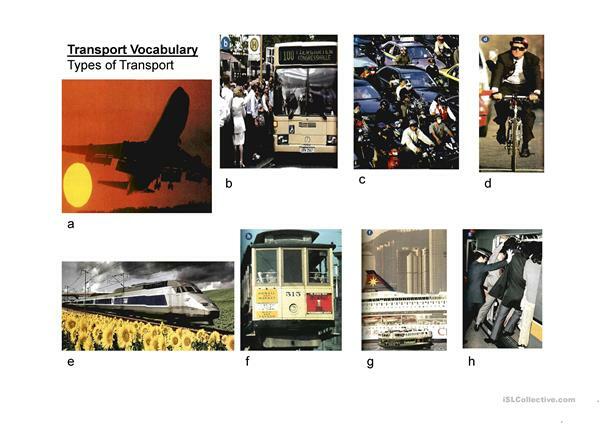 This is a power point for Cutting Edge Elementary unit on transport. 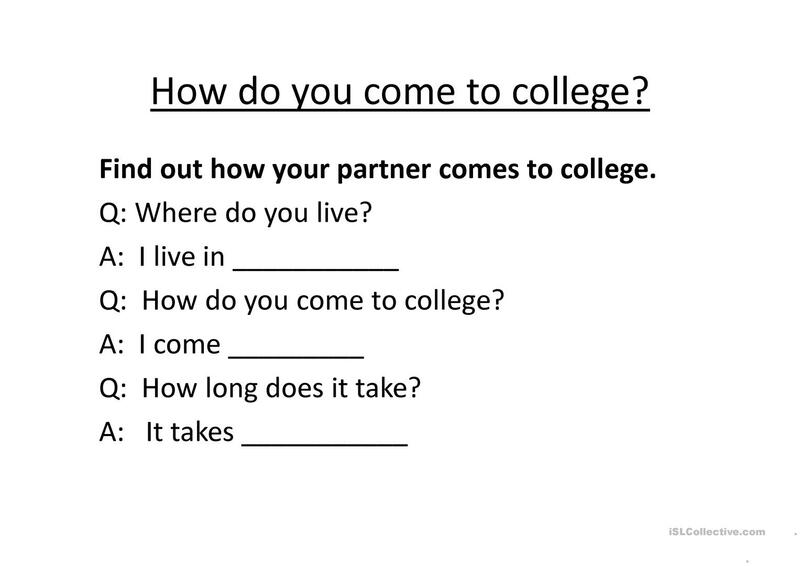 This downloadable handout is a great resource for adults at Elementary (A1) level. 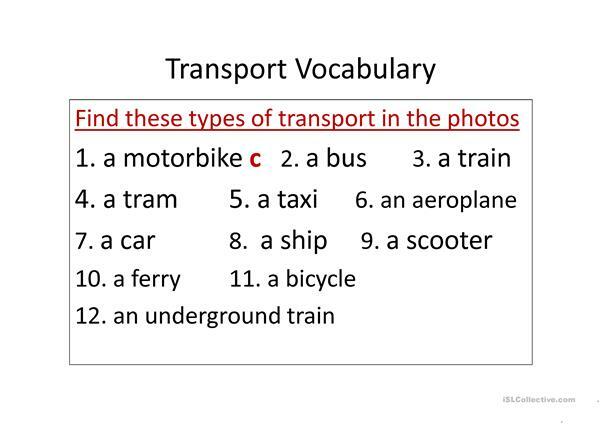 It is valuable for revising Nouns in English, and is a valuable material for developing your class' Speaking skills. 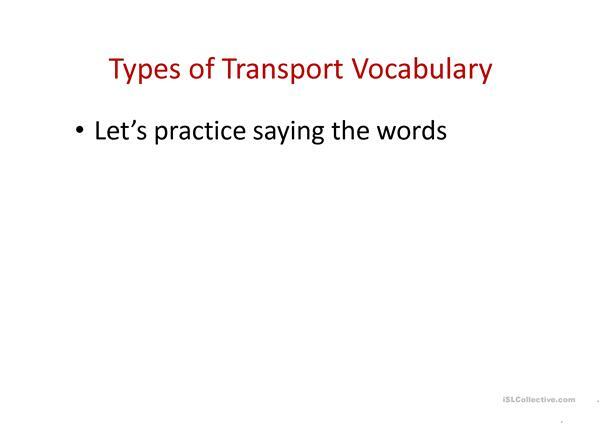 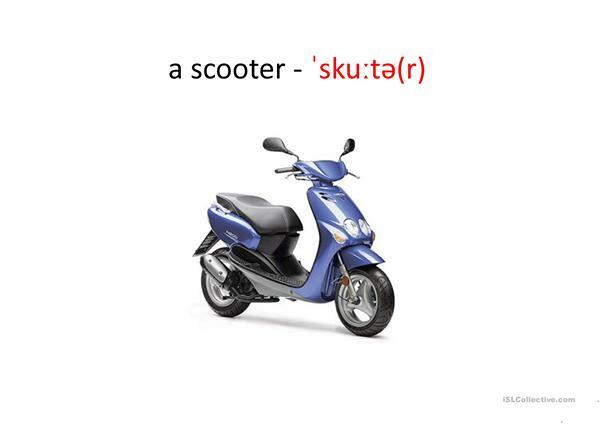 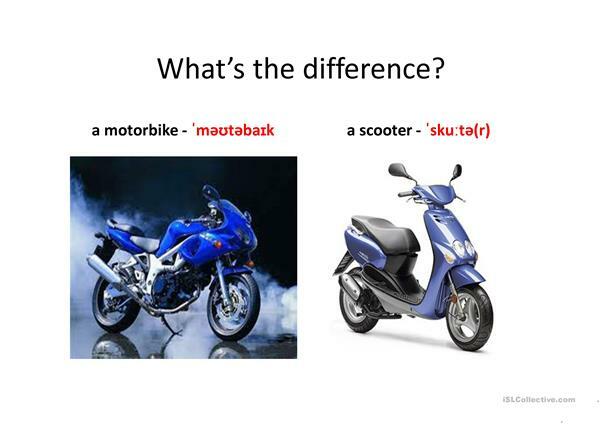 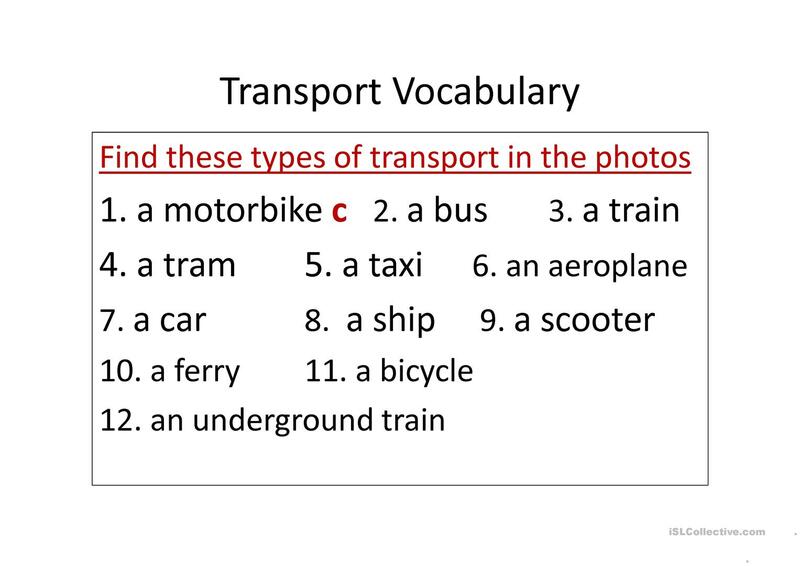 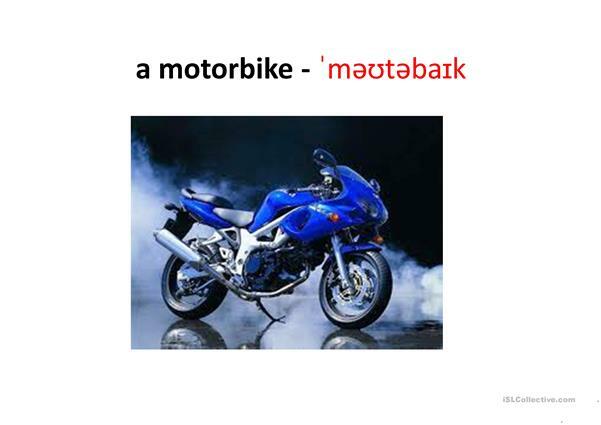 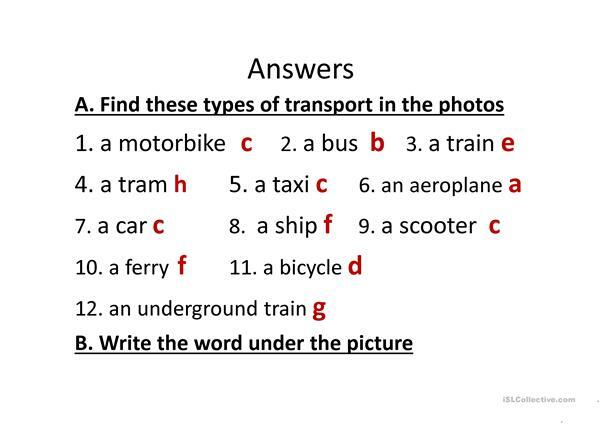 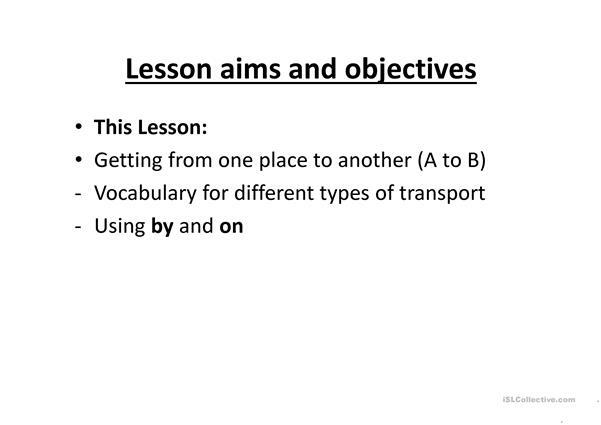 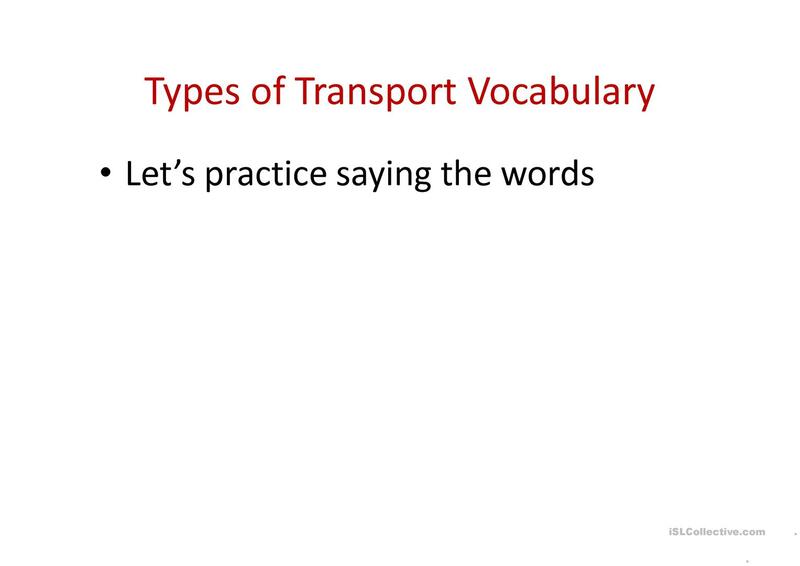 It is about the vocabulary topic of Means of transport. 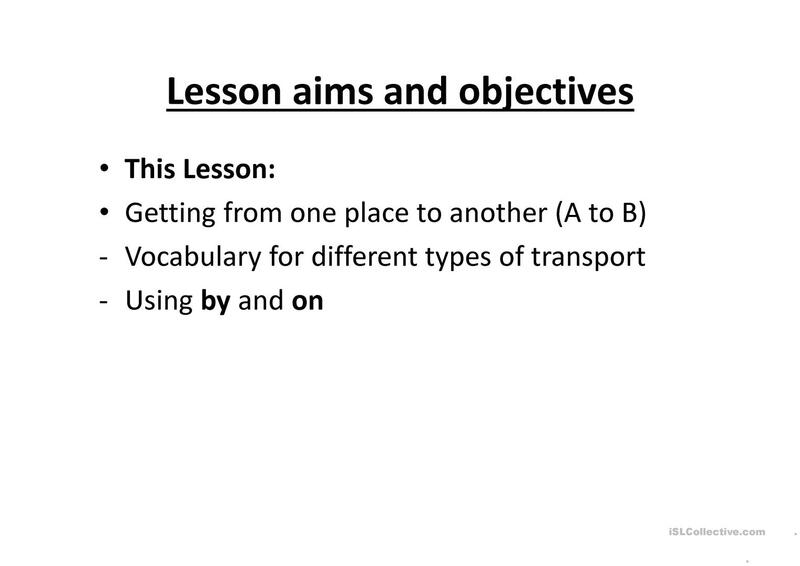 ghulam1uk is from/lives in United Kingdom and has been a member of iSLCollective since 2012-07-25 11:29:44. ghulam1uk last logged in on 2014-09-11 10:20:37, and has shared 1 resources on iSLCollective so far.